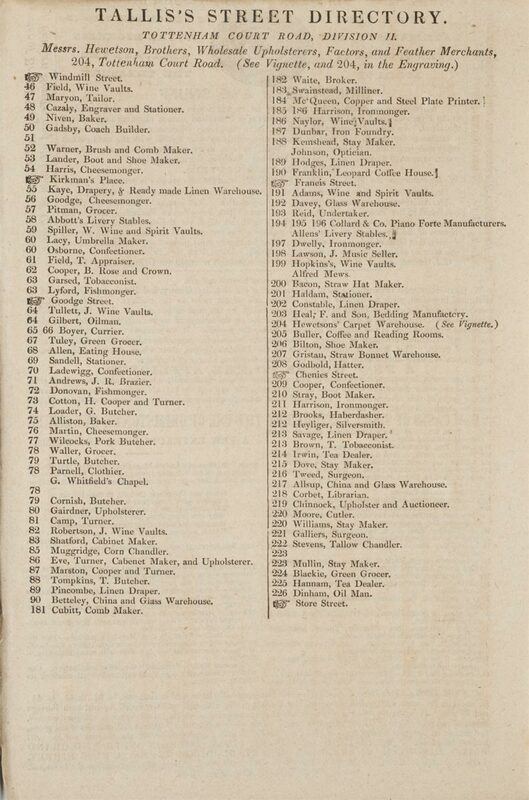 Issue number 52 of Tallis's 'London street views' showing nos. 46-226 Tottenham Court Road, and 1-7 Dodgson's Buildings. 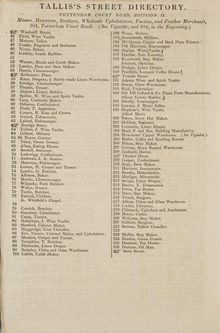 At number 195 can be seen Collard and Collard, piano forte makers. 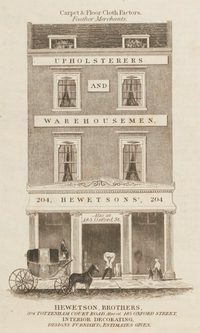 The company originated as Longman, Lukey & Broderip and later was known as Muzio Clementi & Company. When Muzio Clementi retired the firm name became Collard & Collard. It continued until 1929.